Christianity was founded about 2000 years ago on the area of present Israel. It is a monotheistic religion based on the life and teachings of Jesus Christ as presented in the New Testament. Being the world’s largest religion, it has three main sects:Roman Catholic, Eastern Orthodox and Protestant. Islam was found about 1400 years ago on the area of present Saudi Arabia. It is a monotheistic religion articulated by the Quraan, a book considered by its adherents to be the verbatim word of God and by the teachings and normative example of Muhammad, the last prophet of God. Religion has two denominations: Sunni and Shia. 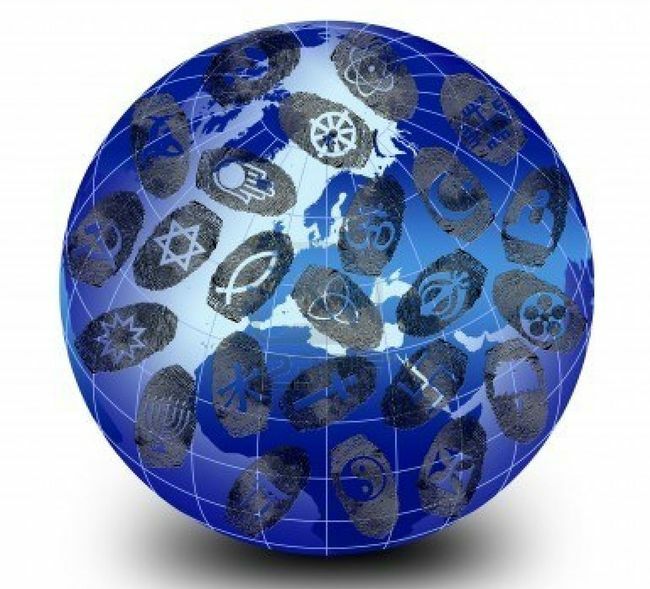 Although it’s debatable whether those who practice no religion count in the list of world religions, but it’s huge number of people whose beliefs are not to believe. Hinduism is the world’s oldest religion and dominates on the Indian subcontinent, particularly of India and Nepal. It is a categorization of distinct intellectual or philosophical points of view, rather than a rigid, common set of beliefs. It has four major denominations: Saivism, Saktism, Vaishnavism and Smartism. It is the collection of ethnic religious traditions which have historically comprised the predominant belief system in China, sometimes categorized with Taoism. Buddhism was founded about 2500 years ago in India. It is based on teachings of Siddhartha Gautama, who is commonly known as the Buddha, meaning “the awakened one.” The religion has three denominations: Theravada (or Hinayana), Mahayana and Vajraya. Due to the diversity of African cultures religious, beliefs and practices of African peoples include various traditional religions. But they have some characteristics in common. The religions include belief in a supreme being, belief in spirits and other divinities, veneration of ancestors, use of magic, and traditional medicine. Sikhism began about 500 years ago in North India under the guidance of guru Nanak. It is a spiritual, social, and political system of beliefs, where aren’t dogma, priests, monastics or yogis. Shintoism was found in Japan around 2500-3000 years ago. It is compatible with Buddhism and many of it’s followers practice both. The religion practice a worship on the kami, a host of supernatural beings dwelling in natural elements. Judaism was founded about 3700 years ago in the Near East, present Israel and Egypt. It is the oldest of all monotheistic religions and focuses on Jews as the chosen people of God descending from the line of Abraham. The Jews are divided into tree main sects: Orthodox, Conservative and Reform.